May is Disability Insurance Awareness Month, which makes it a great time to consider whether you have enough disability insurance to protect you if you were sick or injured and unable to work for an extended period of time. Disability insurance is one of the last coverages many people think of, even though it can be critical to financial security. You probably have life insurance to protect the people you love in the event of your death. But what would happen to them – and to you – if you were alive but not bringing home a paycheck? You can have short-term or long-term disability coverage and, while both are important, long-term disability coverage by definition has a longer-term impact. You likely have enough in savings or liquid investments to get by for a few months, but what if you were unable to work for longer than that, or even forever? What would happen to your family’s security? How could you continue to pay your bills? There are several reasons for getting disability coverage. If you are self-employed or if your employer does not offer disability coverage, you are responsible for finding coverage on your own. But even if your employer offers disability coverage, it might not be enough to provide for your needs, and you might need additional coverage. Disability insurance is less restrictive than either workers’ compensation coverage or Social Security disability coverage, both of which provide limited protection against disability. To collect workers’ comp, you must be injured or sickened on the job; if your injury or illness is not related to work, you are not eligible for coverage. Social Security has a very conservative definition of disabled. Basically, you must be unable to perform any kind of work in order to collect money. Disability insurance, on the other hand, usually provides protection if you are no longer able to do the work you were doing when you were injured or got sick. We invite you to sit down with us for an evaluation of your disability coverage needs. We can help you weigh all the factors, including any coverage you already have, as well as your age, your income and your expenses. We can explain the options for coverage and help you decide on an approach that works best to protect you and your family. Consider this: If you had a machine whose sole function was to print an amount of money that represented one’s salary, would you insure that machine in case it broke down? In a very real way, you are the machine that prints the money that represents your salary, and you should have coverage in case you break, too. At The Bensman Group, we are happy to talk with you about disability insurance or about any other insurance or wealth management need. Contact us at 847-572-0803 or mcollins@bensman.com. 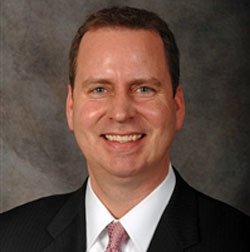 Michael Collins is Director, Individual Insurance, for The Bensman Group.